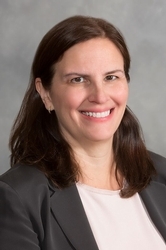 Caroline Record is a partner in the Cedar Knolls, N.J. office of Hill Wallack LLP, where she is a member of the Community Associations and Real Estate practice groups. Ms. Record is admitted to practice in New Jersey (1989), New York (1990), and Washington D.C. (1991). She earned her J.D. from Seton Hall University School of Law and her B.A. from Rutgers College. Ms. Record concentrates her practice in the area of community association law and residential real estate. Ms. Record’s practice also includes estate planning and administration, special needs trusts, guardianship applications, foreclosure, and other real estate-related work. Previously, Ms. Record was heavily involved in all aspects of construction defect litigation and was a representative of the steering committee for community associations in the FRT Plywood consolidated litigation in the early 1990’s. Ms. Record has lectured and written on both the national and state levels for members of the Community Associations Institute and has participated as an amicus curae on behalf of CAI-NJ in several cases.